From the 21st to the 24th of September, the 100% Design exhibition will take place in London. A point of reference in the United Kingdom as an essential exhibition for the world of design, this year with “Experience” as a theme, we will be shown the thousand ways in which design is present in our lives and how it can be improved. At a place where innovation, art and the wish to incentivise our minds is felt, Olympia London, this year’s edition will be held, where PORCELANOSA Group, with its eight firms, has many new products to present which will begin to shape the trends of coming years. 100% Design is an opportunity for visitors, including architects, designers, contractors, distributors, and product developers. For each one of them, KRION®, the solid surface from PORCELANOSA Group, offers endless possibilities which make this exhibition a place where KRION® will not go unnoticed, offering professionals the solution for their project. 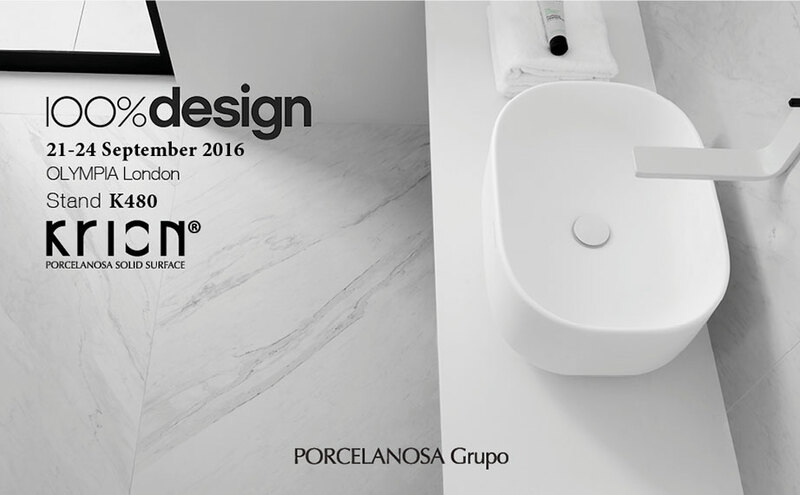 100% Design London and PORCELANOSAKRION®: an attractive combination. We will be waiting for you at our Stand!